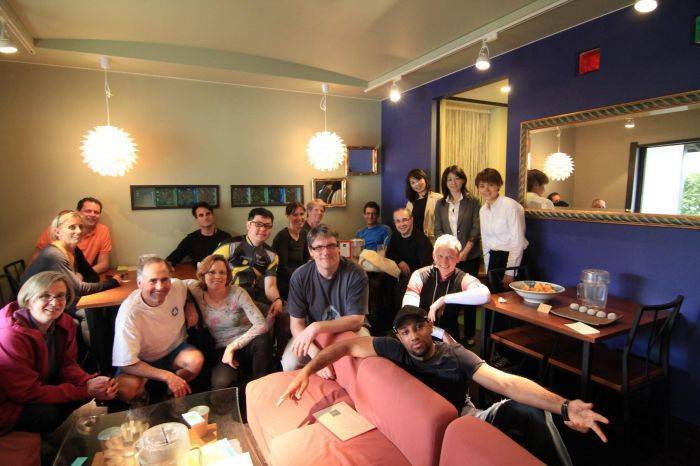 ​Meet our global coworking community in Kyoto, & share your passion with us. ​Be connected to ﻿industries, organizations & individuals in Kyoto that are related to your business, we have all the network. 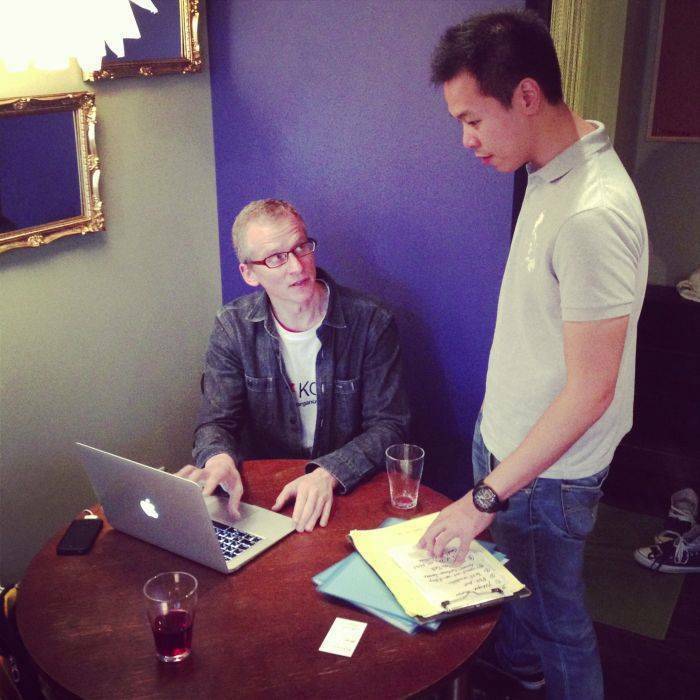 ​Join our ﻿events & projects to learn more about Japan & meet the amazing locals, both Japanese & foreign residences in the area. 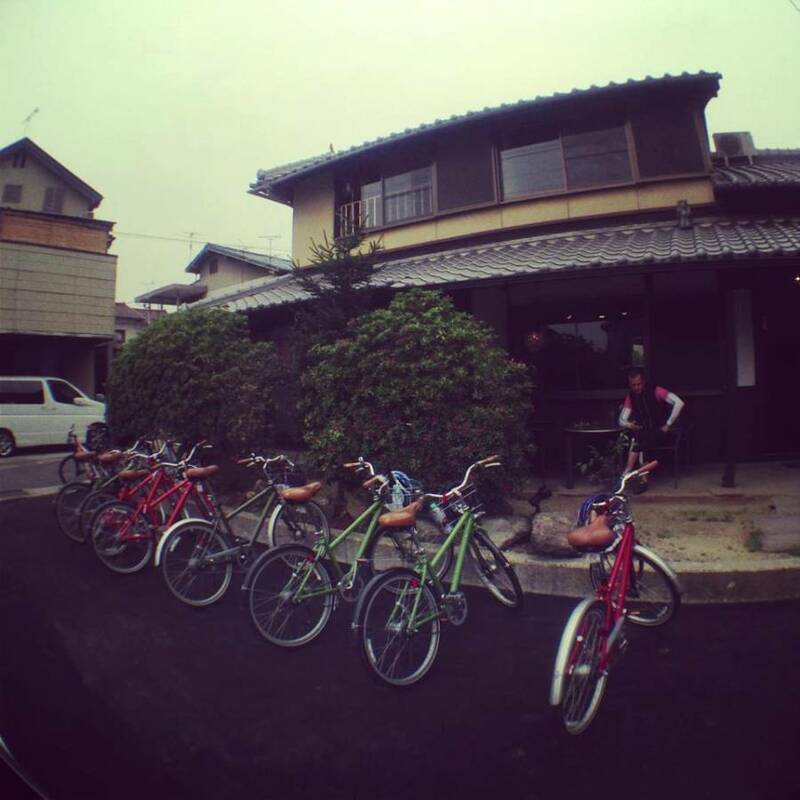 Enjoy suburban Kyoto, experience the everyday livelihood of Kyoto people. Be close to the history & nature of Yamashina area in Kyoto. 47RONIN is located in a newly renovated yet an old traditional Japanese house named Hokurinkan (北隣館) in Yamashina ward of Kyoto City. It is an over 50 years old 2-storey building designed as a traditional residence for a farmer’s family. It is also situated along Old Nara Street (旧奈良街道) which was the first road in the area, connecting Kyoto Prefecture to Nara Prefecture, the very first capital of Japan before Kyoto & Tokyo. ​Yamashina has a very old history such that it was already inhabited since Jomon period(縄文時代, 14000BC to 300BC). It is the meeting point of two major historical routes of Japan, Tokaido (東海道)& Nara Kaido(奈良街道), forming an important cross road in the region. It is also the final resting place of the 38th emperor of Japan, Tenji Emperor (天智天皇626~672AD) where his tomb was erected in Yamashina. ​The biggest lake in Japan, Lake Biwa is only a couple of minutes by train from 47RONIN. 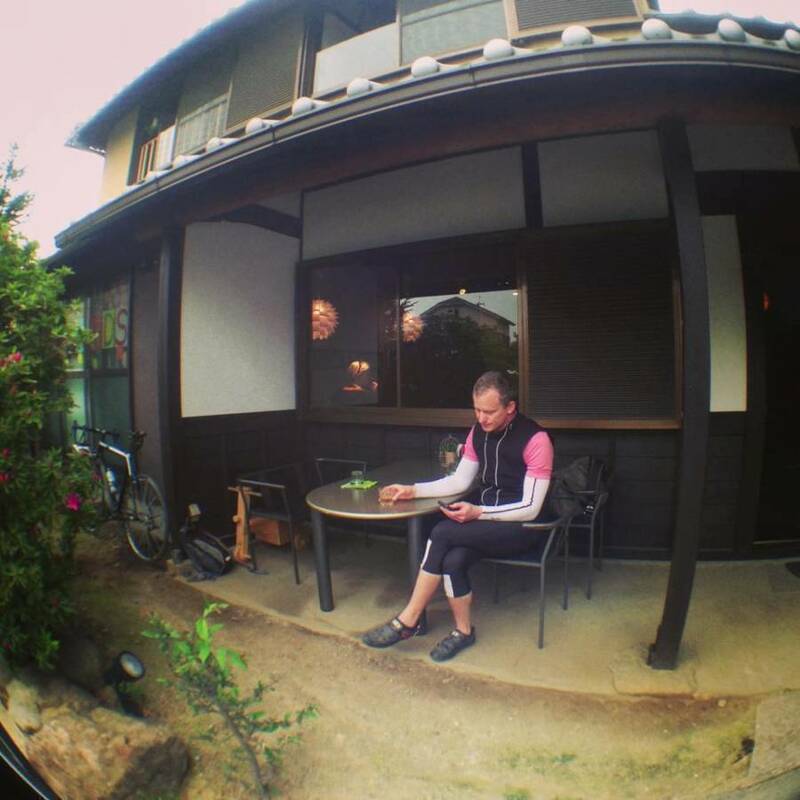 With mountains as a backdrop & farmlands as its backyard, 47RONIN is a calm & peaceful residential coworking space where you can find inspirations & new ideas while surrounded by the nature & the daily lives of the Japanese people. There are 2 dormitory rooms at 2F of 47RONIN. One for the ladies & one for the guys, or it could be mixed upon request if you are coming in a group. ﻿ Foreign adaptors, guide books, padlocks and iPhone charger for free! Rooms There are 2 dormitory rooms at 2F of 47RONIN. One for the ladies & one for the guys, or it could be mixed upon request if you are coming in a group. 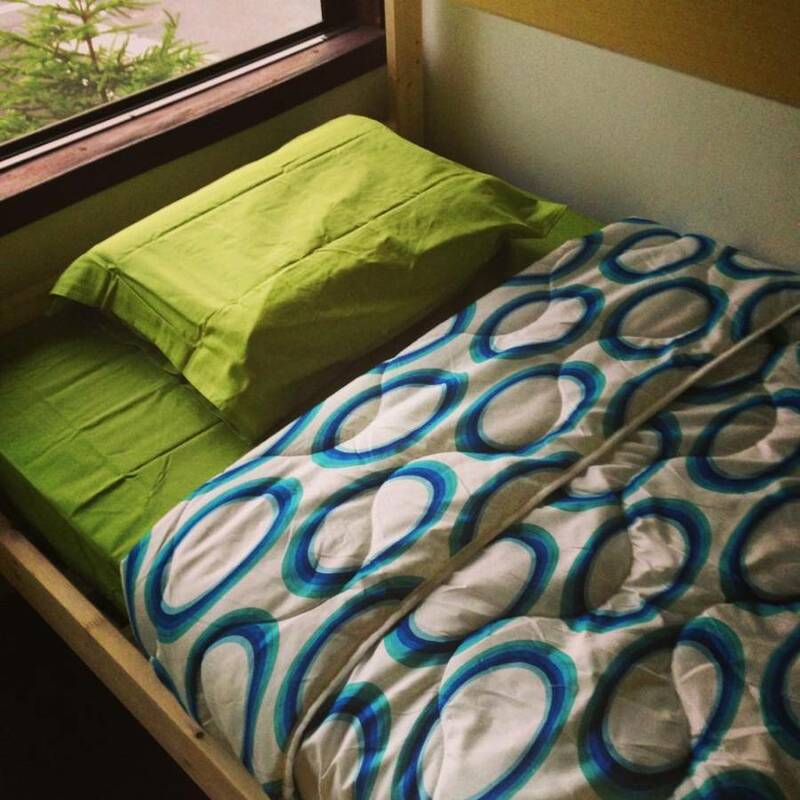 ​ Room A: 6 pax, Room B: 4 pax 24/7 access Dormitory bed space Workstation Café space Shower (shared) ﻿ Toilet (shared) Mini kitchen (shared) Shower (shared) Lunch (optional, Mon~Fri) ﻿ Bicycle rental (optional, 1000yen per day) ﻿ Washing machine (200yen) ﻿ Tourism information ﻿ Station transfer (for group of 6 or more) ﻿ Self service coffee (100yen) ﻿ Foreign adaptors, guide books, padlocks and iPhone charger for free! 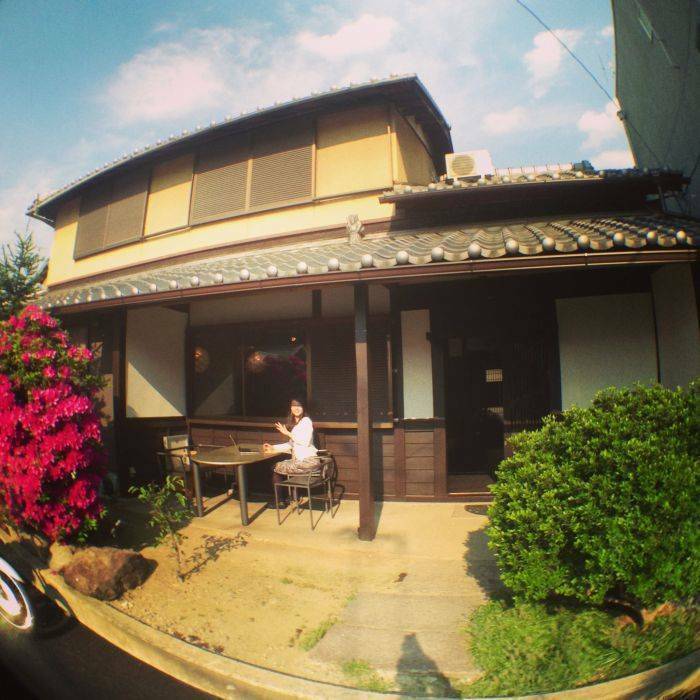 Cafe Green occupies the first floor of the building which also serves as a coworking space for Ronins. It is also the perfect place for meals, parties, presentation & movie nights. 1. Check the calendar for availability of beds. 2. Fill up the online booking form in detail & submit. 3. Our staff will get in touch with you to confirm the detail with payment instruction for the deposit. Payment will be done by Paypal, credit-cards are also accepted. 4. A confirmation mail will be sent to you upon the confirmation of payment for deposit. Deposit is 10% of the total cost & it is not refundable. 5. We will be waiting to welcome you at 47RONIN upon your arrival. 1. Kindly send us a mail ASAP to tell us about your cancellation. Deposite is not refundable for cancellation. 2. If you find that there is availability on other dates you may let us know your new check-in & check-out dates. 3. Our staff will send you a new confirmation mail. If the number of nights of stay increases, you are required to make payment for deposits of the extra nights. 1. Check-in & Check-out time can be flexible between 10am & 4pm. If you need to check-in/out outside this timings kindly indicate in the online booking form. 2. Before the beds are available for you to check-in, you may deposit your baggage with us. You may also use some facilities such as coworking space, cafe space, & shower. 3. If you come in a group of 6 or more, we can offer free transportation from & to Nagitsuji station. Please mail to us for enquiry. alight at Nagitsuji Station (椥辻). Only 2 stops. 1. Change to Keihan Gion Shijo Station(京阪祇園四条), alight at Sanjo Station(三條). Only 1 stop. 2. Change to Subway Sanjo Station, take Tozai Line (東西線) towards Rokujizo direction(六地蔵), alight at Nagitsuji Station(椥辻). 6 stops. 1. From Subway Imadegawa Station, towards Takeda(竹田) direction, alight at Karasuma Oike Station(烏丸御池). 2 stops. ﻿2. Change to Tozai Line(東西線) towards Rokujizo (六地蔵) direction, alight at Nagitsuji Station(椥辻). 8 stops. 1. Take the Keihan Line to Keihan Yamashina Station(山科). 230yen, 13min.